As lifestyle-related chronic disease afflicts the western world like never before, organizations are bearing an increasingly heavy burden of an ill and overweight population. Endemic levels of type II diabetes, coronary heart disease, stroke, cancer and obesity have employers steadily sinking into a quicksand of health-related expenses for its weakening workforce. In recent years, employee health and wellbeing programs have gained traction as a solution for organizations seeking to remain positive, productive, and profitable. Initiatives assisting employees to adopt and maintain healthier lifestyles can certainly - and significantly - encourage a resilient workforce and reduce the demand for healthcare. However, with economic pressures forcing increased scrutiny in business expenditure, wellness programs must present proven merit, efficacy, and tangible return on investment (ROI). To provide this, a 2011 study commissioned by Foundation For Chronic Disease Prevention in the Workplace (FCDP) and conducted by Lancaster University's Centre for Organizational Health and Wellbeing examined the effect of daily low-impact activity on the wellbeing of 752 employees embarked on the leading corporate health program: Global Corporate Challenge. Overall, the study findings revealed a considerable and positive impact by the 16-week wellness program across all aspects of employees' physical and psychological wellbeing, as well as their productivity and performance. The program effectively generated a 40% increase in employees meeting the World Health Organization active lifestyle (minimum) recommendation of 10,000 steps per day, and 58% increase in employees exceeding this benchmark and stepping into "highly active" classification. With sedentary living the driving factor behind so many of today's chronic health conditions, the employees - simply by getting up and moving - considerably improved their cardiovascular health thereby reducing their risk of chronic overweight and obesity conditions. More than 52% of all employees reduced their body fat over the course of the program; with 62% specifically losing dangerous abdominal fat. For those recording a reduction, body fat reduction averaged 10% and waistline reduction 2.05". Furthermore, 48% of all employees also achieved BMI reduction. Through improving their body mass, employees effectively reduced their risk of a variety of chronic conditions including heart disease, high blood pressure, arthritis and many cancers. Employees reported considerable stress level improvements consistent across a spectrum of personal and professional factors. Overall, stress reduction ranged from 12 - 15% (in relation to work, health, family and finance concerns, etc); with a 17% reduction also in employees losing sleep over worry. In bringing out reduced feelings of stress, the 16-week program of daily, low-impact activity effectively bolstered employees' overall physical, mental and emotional resilience to a range of cardiovascular and psychological conditions. Results indicate measurable restoration of blood pressure levels across the employee sample, with 75% experiencing a decrease in BP-systolic pressure, and a further 25% experiencing a decrease in BP-diastolic pressure. Through reducing (high) blood pressure levels, employees achieved reduced risk of serious cardiovascular problems - heart attack and stroke. About 31% of employees experienced a reduction in total cholesterol levels, and 49% experienced an increase in "good cholesterol" (High Density Lipoprotein). These improvements equate to improved cardiovascular health and reduced risk of coronary heart disease and stroke. The study results clearly show that employees' 16 week engagement in daily, low-impact physical activity generated significant physical and physiological wellbeing improvements, including a specific reduction in risk and experience of common chronic health conditions such as obesity, diabetes, hypertension, heart attack, stroke and depression. Though physical change can take months to manifest, 18% of employees reported an immediate overall health improvement to a 'good' or 'excellent' level, and results suggest continued improvements in weight loss, BMI, blood pressure and cholesterol levels. FCDP Research Director Dr. David Batman cited the walking-based program as: "highly effective in improving physical activity levels and immediate health and wellbeing of employees. Findings also indicate positive behavioral change, which - if sustained by the simple and cost effective program of walking - will continue to reduce employees' long-term risk of developing chronic health conditions and have a beneficial impact on their future health overall." A healthy workforce presents a considerable wealth of business benefits, not least of which are hefty healthcare savings and reduction in employee absenteeism. 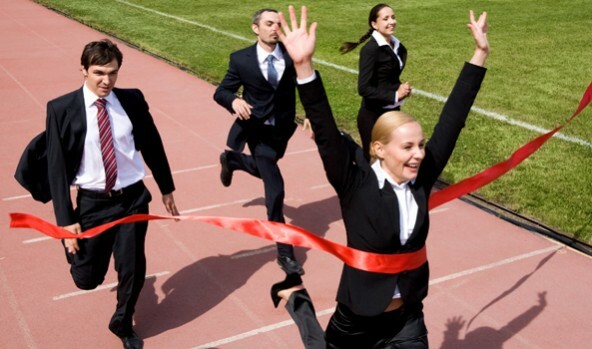 In this way, a proven workplace wellness initiative - one which effectively engages genuine employee commitment and delivers substantial health and behavioral improvements - provides a game-changing commercial advantage; and one available to each and every organization today.